The news brought back to Zeba Kohli the memories of her childhood. “I was reminded of our family’s weekend outings and trips to Matheran and Pune, when the most important part of the picnic basket was the bright red-coloured fizzy drink,” recollects the chocolatier who was “genuinely delighted” when she heard that Duke’s, the popular brand of aerated beverages, is being revived in the market after a seven-year hiatus. The relaunch of the 102-year-old brand has evoked nostalgia among many. The brand, first established in 1989 by Dinshwaji Cooverji Pundole, an Indian cricketer of Parsi origin, was a local favourite for the distinct flavours it had to offer — Tango, Raspberry, Ginger, Pineapple and Lemonade. The psychedelic colours, refreshing taste and lack of any substantial competition made Duke’s a household favourite. “In those days, one could not afford to have a cold drink every day; they were a novelty. So Duke’s became the prize you got when you scored well in exams, the Sunday family ritual or the cool thing to impress the lady with when on a date,” laughs 68-year-old Alan Fernandes, who used to run a cold drinks shop in Byculla until a decade ago. The brand’s journey was not all-smooth. In the 1950s, it faced stiff competition from Coca-Cola, which had just launched in India. But Pundole is said to have survived the onslaught by launching Mangola, the very first Indian packaged drink made using mango pulp. The legacy of Duke’s lasted under Pundoles’ leadership till 1994, when it was brought over PepsiCo. 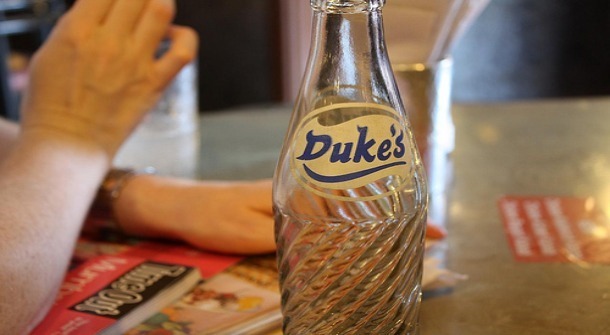 PepsiCo India is busy planning to re-launch Duke’s beverages, a brand that the company decided to take off the market more than 6 years ago. As per sources, the brand will be test-marketed in Mumbai at first & new flavours such as raspberry, masala soda, gingerale and ice-cream soda will be introduced. Fundamentally, the company’s aim is to gain volumes in India’s fast growing lime and lemon-flavoured frizzy drink market, which is currently dominated by rival Coca-Cola India. “Duke’s flavours were once part of every Mumbaikar’s life. And now the time to identify region-specific opportunities and give them the right kind of focus” said Deepika Warrier, director marketing, beverages at PepsiCo India. The company had acquired Duke & Sons from the Pandole family in 1995 and their products remained a key constituent of Pepsi’s portfolio till it withdrew it from shelves in 2004. 2 years ago, the company launched a lemon drink Nimbooz and has been doing well in pushing the brand forward. It is relying heavily on the familiarity with homemade nimbu pani that Indians love. Still, sources say that it is hardly a match for citrus flavoured drinks and is not doing much for the company. On the other hand, this move of bringing back Duke’s could help PepsiCo to gain more volumes in the coming days. “Since it’s a re-launch, it is a good move to introduce variants to get more volumes out of 1 brand” informs brand consultancy DY Works President Alpana Parida. However, she adds that the variants must relate to the core equity of the brand. Fair & Lovely variants are a perfect example to explain this. The company has done well in retaining the “fairness” proposition very well, she says.